Do we serve others or ourselves? This morning I read a very thought provoking blog post by my friend Carrie Ross. In the post Carrie talks about why she doesn't self promote. You can read the post here. Carrie's post spurred a conversation on Twitter about self promotion and stepping on people's toes. I love it when things like that happen! @MsRossEnglish @aimeegbartis If they do take it wrong way where does problem lie? If someone doesn't understand that is door to dialogue. I have written about my WHY before. My WHY is to serve. I work hard to make that the basis of everything I do. Who am I serving by doing this? At school I serve my teachers. I make sure they have the technology they need and that they feel comfortable using it. I serve my students by serving their teachers. I want to be a leader on my campus, my district, and my state. Why do I want to lead? So I can serve more teachers and impact more students. But does the quest to become a servant leader require self promotion? I'm starting to think it does. If I don't apply to present at conferences, how will I reach more teachers? 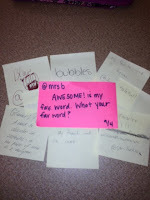 If I don't tweet about my blog, how do I share what I'm doing and, hopefully, inspire other teachers? I'm not going to lie. I like recognition. I like to be recognized for my hard work. I love hearing from other teachers that they read my work and tried it in their classrooms. It makes me feel good when people call, text, tweet, or email to ask for my help. I want to be asked to speak to groups, to have the opportunity to share with teachers and help them grow. I want to serve teachers because I believe all students deserve the best teacher. But recognition is not why I start anything. It's a side effect, not the goal. So, where is the line between sharing and self promotion? It's a fine line. It has a lot to do with your intentions, your motives. As for me, I'll work to keep my motives pure. Because in the end, it's all about relationships. Keeping my WHY in mind will lead to meaningful relationships which will open doors and allow me to serve more. What are your thoughts on leadership and self promtion? This is my 10th year to teach Tech Apps to 8th graders. For 8 of those years my TEKS (Texas Essential Knowledge and Skills - what the state of Texas says should be taught in Tech Apps classes) were very descriptive. 2 years ago, my TEKS changed and now focus on the '21st Century' skills. I can't stand that phrase by the way but that's another post for another day. 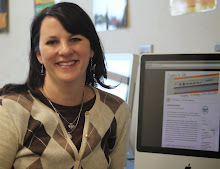 The TEKS now resemble the ISTE-NETS Student Standards. Last year, I continued my class as usual. We did keyboarding, Word, Excel, Multimedia and Web 2.0. But it didn't seem right. I wanted to innovate. I wanted to do something different. I want students to think thoughts instead of learn facts. 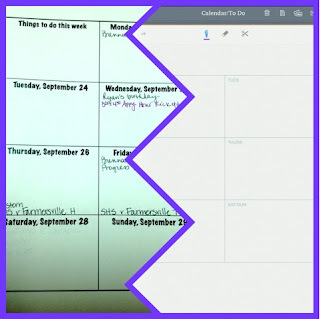 Last year I tried Genius Hour with little success. My students were still focused on the 1st right answer, the easy way, the first page of Google. I knew I had to do something different. Last week we finished keyboarding. I do believe keyboarding is an essential skill and it's in the TEKS so I still teach it. 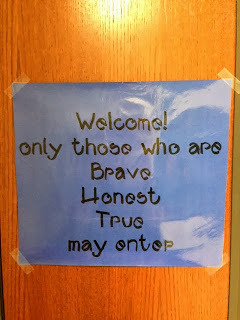 Besides, the rest of the year go much smoother for students who can touch type 35 words per minute with 97% accuracy. On Tuesday, we sat in the floor and I handed everyone (I have 9 students this year) a copy of the TEKS. I told them this is what the State expects you to learn. Let's dive into it. I want you to understand what you are supposed to learn this year. We spent the rest of the class dissecting the TEKS. On Wednesday, we sat in the floor with our copies of the TEKS, chart paper and smelly markers (sometimes you just need to write with smelly markers!). 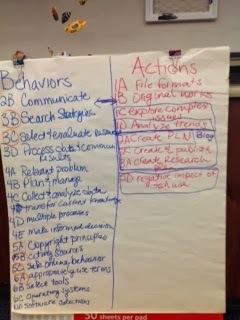 This time we categorized each TEKS as a Task or a Behavior (something you need to do over and over no matter the task). 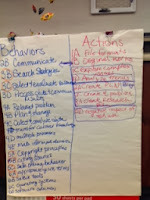 We then discussed which Behaviors need to be directly taught. From this we created our first 6 units. After the units, we'll start the student directed learning. They will solve relevant problems. Relevant to them. Through these problem solving units, we'll complete our Tasks. When a student needs to learn something about Technology, I'll teach it when they need it. JITT - Just In Time Teaching. We'll change the audience. Their first relevant problem needs to be solved to help others. This time they are working individually. In the future, they will work in pairs and groups. But they will always work on problems that are relevant to them. Throughout these discussions, I've talked to them about thinking critically, thinking deeply. We've talked about making decisions that matter. We've talked about moving beyond Google's first page. And looking for the 2nd right answer. I told them it's not going to be as easy as they think it will be. We are going to blog about our journey. Thursday and Friday they did some blog exploration. 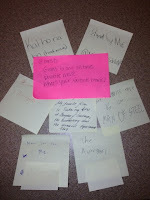 Today they began writing their first blog post - a reflection on what we've done so far. It wasn't as easy as they thought it would be. Those posts will sit and simmer until Wednesday when I'll meet with each student to review their work. Tomorrow we're planning on setting up our blog. Be on the look out for it! We will chat Tuesday, September 17 at 9 p.m. CST. Chapter 7 is all about parents, teachers and coaches. I wanted us to be able to spend sometime with this chapter. The big question of this chapter is: where do mindsets come from? The answer, of course, has a lot to do with how we talk to kids. Dweck tells us that we need to praise students for effort rather than intelligence in order to put them in a growth mindset. Do you find this easy or hard to do? Why? As a teacher, how can talk to students about failure to help them develop a growth mindset? What kind of policies/procedures can we put in place in our classes and schools to help students (and teachers) develop growth mindset? What is growth minded discipline? "The great teachers believe in the growth of the intellect and talent, and they are fascinated with the process of learning." How do we demonstrate this love of learning to our students? What are your experiences with students who seem not to care? How can we reach these students? Coach Wooden is one of my favorite examples of excellent teaching. How can we apply his theories to the classroom? "Beware of success. It can knock you into a fixed mindset." How can we show our students how to be successful, enjoy their success but keep a growth mindset? I'm looking forward to this chat and learning from each of you. See you Tuesday! I've added something new to my room this year. 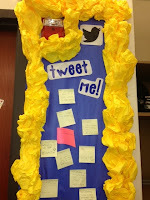 A Twitter board. 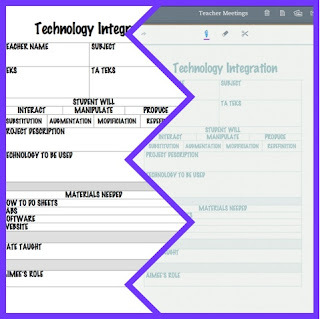 I've been finding it harder and harder to connect with my 8th grade tech apps students since I started as an Ed Tech specialist. Most days I'm running from someone else's class to mine. We get started with our work and they are behind a computer for 50 minutes. Yes I walk the room and give feedback but I'm struggling with real conversation. I wanted to get to know more about them. 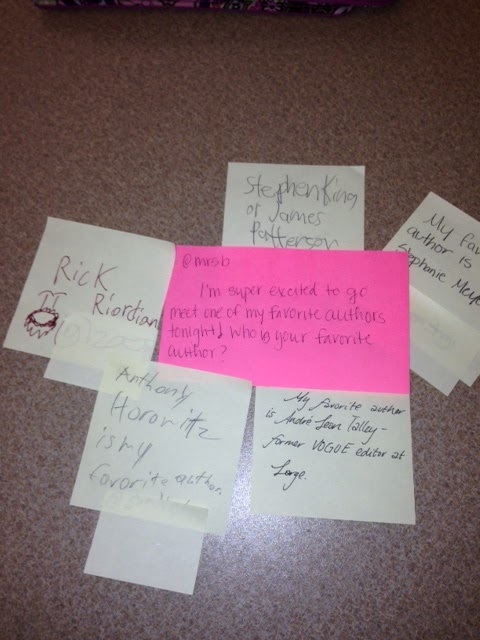 So, each day I post a big post-it note with a question and a little about myself. It's on the board when they come in the door. Sometimes this means writing my tweet as soon as I get to school so it doesn't get forgotten. At the end of the period, my students get a yellow post-it and post their replies. I take down their replies before my 5th graders come in so no one gets embarrassed by their tweets being read by others since they are writing about themselves. I could not be more pleased with the responses. I love reading them each day. The more I know about them, the easier conversations will flow. I've tried to use one of their favorite words each day since I've posted that tweet. Below are some pictures of some of my favorite tweets and replies. I'm not really sure where this will lead. I don't just want to ask them surface questions all year. What are your ideas? I have a confession...I love to write. Like pen and paper write. I order new Mr Skitch smelly markers to start the new school year. 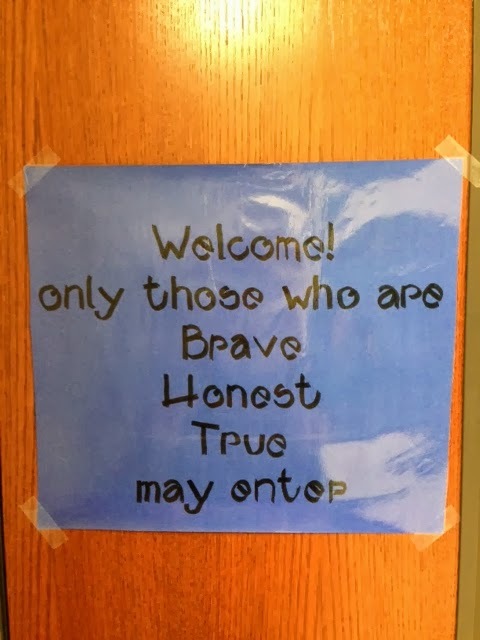 Children (my own or the ones I teach) are only allowed to use year old markers. I carry a zipper bag of different colored pens. I have tried to go paperless with my iPad. But I miss the sensation of writing. So I downloaded Penultimate app and got a stylus. But it didn't feel right, it was too squishy. This summer I ordered an Adonit Jot Fine Point stylus. No squishy ball at the end. It took some getting used to but I've grown to love it. I take notes in Penultimate in meetings and even in church. 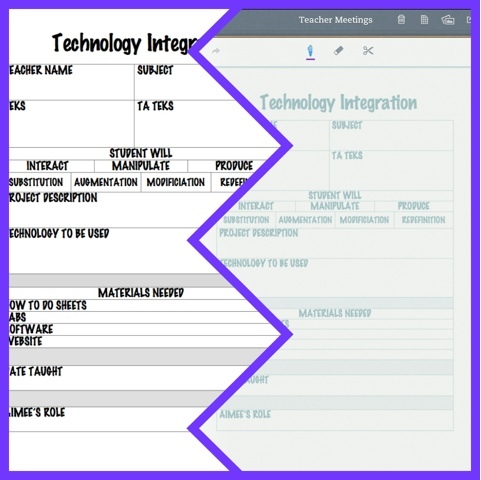 My paper stumbling block has been my integration form that I use with teachers. I tried to insert it as a picture in Penultimate and write over it but that was painful. The picture would move every time I touched it. Today I discovered that you can create custom paper in Penultimate. First you need a picture in your camera roll. 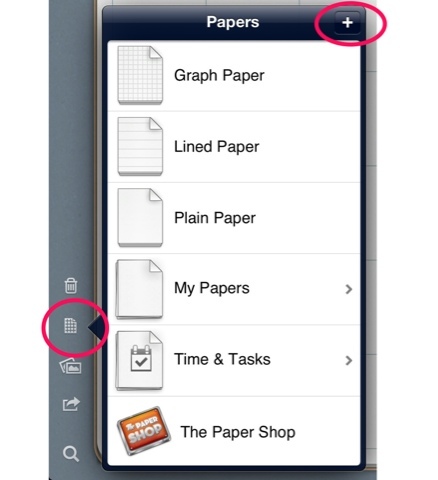 Then you tap the papers icon, then the plus sign and choose the photo. And SHAAAABAAAM! Custom paper!! 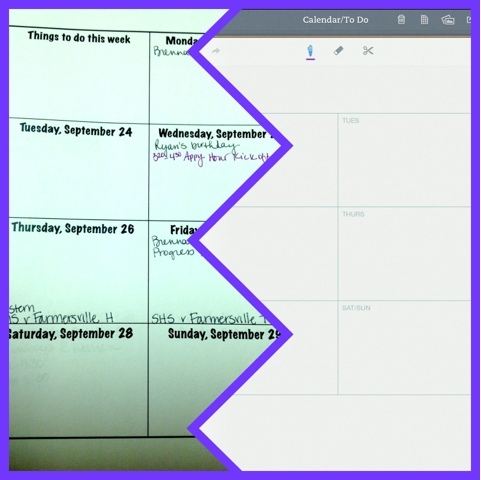 My next step is to move my calendar to Penultimate. My calendar is much like my pens. I'm kinda obsessed with it. I make it myself. But today I also bought a 99 cent paper pack in Penultimate - Time & Tasks. The pack has a calendar page that looks like mine. I'm going to give it a try. I'll report back. 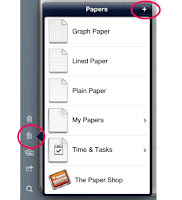 What are you doing to go paperless? What's the best way to deal with a fixed mindset leader? Do you find it hard to be a growth mindset leader? Why or why not? I loved this definition of self-confidence "True self-confidence is "the courage to be open - to welcome change and new ideas regardless of their source". What are other definitions of self-confidence in a growth minded leader? How can we root out fixed mindset and groupthink in our classrooms? "In a relationship, the growth mindset lets you rise above the blame, understand the problem, and try to fix it - together." This quote is about love relationships but how can we apply it to work relationships? What are you thoughts about more shy people having a fixed mindset? If fixed mindsets lead to bullying, what can we do to promote growth mindset in our schools?